I just came across a short piece in the Sydney Morning Herald about chef, writer and general food guru, Stephanie Alexander, listing the books she says changed her life - which you can read here. We have a couple of books in comon - Ethel Turner's Seven Little Australians, and you can read my post about that book here - and Alexander's own book, The Cook's Companion, which is one of the most marvelous food encyclopedias to hit the bookshelves in modern times. It got me thinking about books that have changed my life. It's not so easy, actually, to narrow it down to a manageable list. However, I'd have to start with Anne Frank's Diary of Young Girl. I was eight when I read that for the first time - a bit young, really, but I was always a precocious reader. Another is Rumer Godden's In This House of Brede. It is about a woman who, at 42, enters a Benedictine convent to become a nun. It's set in the 50s, and she is - unusually for the time - in a high up position in the British Government and due for promotion, so her decision is seen by many to be a shocking waste of talent and opportunity. Her struggles to adapt and live in a community of women, particularly the young girls who are her fellow postulants and novices, are narrated with particular sensitivity - this being one of Godden's great gifts as a writer. Godden spent many months as the guest of a Benedictine Abbey in the UK, absorbing what she could of the atmosphere and there is a wonderful authenticity about her descriptions of daily life for an enclosed order of comtemplative nuns. I think that the portrayals of human frailties in this book is what strikes me anew every time I re-read it - on average, at least once a year. The Diary of Frida Kahlo: An Intimate Self-Portait. 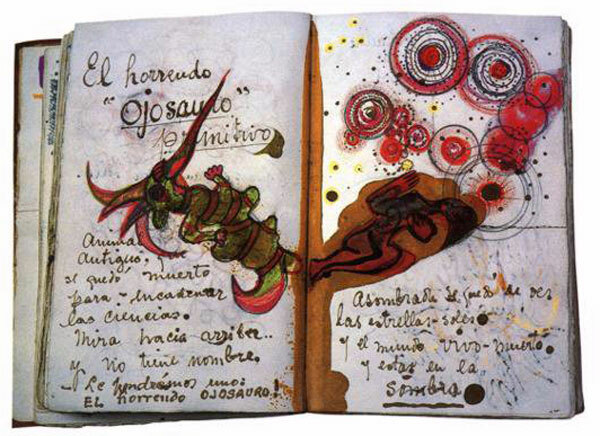 When I knew that Kahlo's diary was to be published - in facsimile form - I had the most awful internal struggle. I wanted it - I so wanted it. But I hesitated because part of me felt that to own someone's diary - particularly this one - would be a fearful intrusion on them. I had discovered her paintings not long before I went to art school, read a borrowed biography of her by Haydn Herrera (I now have a copy of my own), and I knew she'd kept a diary. At the same time, I was aware that it was, even more than her paintings, mostly drawings, of an intensely personal nature. In the end, I put an order in for it at a bookshop that had advertised it would be carrying it when it was realised in Australia. When the phone call came, I abandoned whatever it was I was doing that day, headed for the city, paid what felt like an enormous sum of money, and it was mine... 'Intimate' is a gross understatement. Kahlo's very soul is on show in this beautifully crafted facsimile edition. I love that inks and paints and holes from one side of the pages can be seen on the reverse side - as they are in the actual book. It gave me permission, in a way, to really embrace my own journal more fully, and there is a marked change in that from the time I acquired Kahlo's. Poppy by Drusilla Modjeska. My mother gave me this book, and in my journal there are pages and pages of writing that I did while I read it, wrestling with issues it raised for me. It is Modjeska's fictionalised biography of her mother. Modjeska seamlessly blends fact and fiction to create a story that is simultaneously her mother's story and not her mother's story. She writes of her decision to work this way as a means of protecting her family, to soften the effect. However, she also writes that many members of her family were very angry with her when the bok came out and they read it. I found myself, as I read it, constantly questioning my mother's motives for giving me this particular book as much of the underpinning of the narrative is the mother-daughter relationship... Again, this one I re-read at least once a year. Chaim Potok's My Name is Asher Lev, and its sequel, The Gift of Asher Lev. I love all of Chaim Potok's books, but these two are the ones I'd take to a desert island. They tell the story of a boy who grows to manhood within a strictly observant Chassidic sect in Brooklyn. He is an only child - unusual in that world - whose father is the Rebbe's right-hand man, and whose mother is a fragile creature, haunted by her family's losses during the Holocaust. And this boy has a gift, a gift that is both misunderstood and vilified by a people for whom the making of 'graven images' is a violation of the commandments. Asher can draw, and not just childish scribbles either. 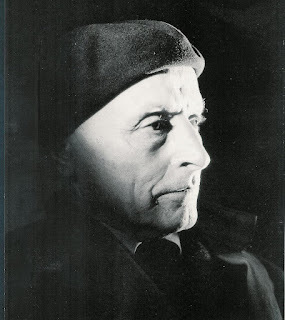 Eventually, when it is evident that it can't be stifled without damaging the boy, the Rebbe intervenes and send him to be taught by a great master - a now very secular Jewish painter and sculptor. This exposes him for the first time to the Western art canon. When he paints his parents crucified, he is sent from the community... It's my personal belief that Chagall was Potok's model for Asher, although there is no docummentation I've ever found to substantiate that. Asher's many struggles to understand the world around him, the complexities of people's emotions, and the many losses he also experience find a voice in his work. It is a wonderful portrait of a painter. There are other books, of course, others that I could probably give equal weight as 'life-changing', but this morning, after reading the Herald article, these were the first to come to mind. Do you have a list of books that have changed your life? 1. Independent People by Halldor Laxness is one. It opened up my reading horizons! I never thought that I would enjoy reading translated fiction, much less a book from Iceland. This novel is just so beautiful. It incorporates a lot of Icelandic mythology as well. 2. The Choose Your Own Adventure books -- These were the first books that I saved up on. I could never get enough. My only regret is that they were lost when we moved house. I've always wondered where they ended up, wishing that whoever found them would be enjoying it as much as I did. 3. Les Miserables by Victor Hugo was my first door stop of a book. I was intrigued how similar it would be to the musical, which I absolutely love. (I've even memorized the entire libretto.) Anyway, the book was just as good, probably even better. I thought that it would be a very daunting read, but I was surprised at how readable it was. 4. We Wish to Inform You That Tomorrow We Will Be Killed with Our Families by Philip Gourevitch is still my favorite nonfiction book. It's about the conflict between Hutus and Tutsis in Rwanda. I couldn't believe that people were allowing this kind of bloodshed to go on. I admire the audacity of the writer in coming up with this book. It's an exposure of sorts to what happened wrong in that country. Interesting list. I mourned the loss of your Choose Your Own Adventure Books...if I still had the books that have disappeared in house moves... As you say, hopefully someone found them who gave them a good home. I've seen the Rwanda book in the bookshops and nearly picked it up a few times. Maybe I'll just have to bite the bullet and just do it. And might just have to investigate the Laxness novel - that looks most intriguing. I had never thought of The Diary of Anne Frank as changing my life. Odd because after I read it at age 11 I began to keep a diary. Thirty seven years later I still keep one. So, I guess it had a far greater impact than I realised. We don't always know what we know!! 1.The Skylark of Space by E.E. 'Doc' Smith - this was *the* book that changed my reading habits for over a decade. I'd never really read any scifi before and this book had been tempting me with its Chris Foss artwork on the front cover for some time. I took it home from the school library and never looked back. Hardly fine literature, Smith is the master of classic space opera and the Skylark series defined the genre. Galaxy spanning, planet-smashing, rip-roaring hard-science, where the aliens really are green and the women play the violin and are confined to domestic duties. "There ensued a brief but appalling demonstration of the terrible effectiveness of those Osnomian weapons against anything not protected by ultra-powered ray screens. Metal and men —if men they were— literally vanished. One moment they were outlined starkly in the beam; there was a moment of searing, coruscating, blinding light—the next moment the beam bored on into the void, unimpeded. Nothing was visible save an occasional tiny flash, as some condensed or solidified droplet of the volatilized metal re-entered the path of that ravening beam." After Skylark it was nothing but SciFi for me for most of the next twenty years - apart from the occassional novel forced down my throat by a desparing English teacher. Smith's Lensman series, which I came to a couple of years later is even better again, and I still hope to see it made into a film before I shuffle off this mortal coil.
" I must not fear. I still say that to myself whenever I'm in a challenging situation. My memories of reading Dune for the first time are that I was forever referring off to the Appendix, or to the dictionary to follow up on some of the more unusual terms or words that were used. As a 15 year old, I'd never encountered "Gestalt" before. Interestingly Paul, the main character, is also a 15 year old at the start of the novel, and has manhood thrust upon him in a very sudden and challenging sort of way. I'm not sure whether that's why I related so well to the book, but its quite plausible that it was. But to cap everything about this wonderful book, I fell in love with the name of the narrator of the book - Princess Irulan, so much so that our daughter was named for her. 3. The Lord of the Rings by J R R Tolkien - not quite SciFi, but very clearly Fantasy, so the publishers of the day were legitimately able to label in as "SF", and that was good enough for me. I met this book in Year 12, when I was 'allowed' to read it as my optional novel in English. I can't say that I was instantly hooked, but over time, and through my almost annual re-reading of the six books that make up LOTR, I've come to appreciate the beauty, the complexity and the consistency that Tolkien has created. It's never inspired me though to explore fantasy through other writers, apart from a brief, unsuccessful foray into Stephen Donaldson's "Thomas Covernant" series. 4. Getting Things Done by David Allen - For me, this is *the* book on personal productivity and managing the stress and complexity of modern life. I came across this book at a very challenging time of my life, and through following the simple techniques that Allen outlines, it helped dig me out of the giant pit of chaos and despair that my working life had become, and set me back on the path to normality. I can't recommend this book enough. 5. Collapse by Jared Diamond- This book is one of those that I'd love to be able to read again for the first time. Its just so damn good. "Collapse" is a detailed and rigorous, yet enormously readable description of the very sudden collapse of a number of civilisations, and the reasons underlying their demise. Diamond is a modern-day polymath, and flits from topic topic with ease. He constructs a multi-factor model describing the conditions necessary collapse and illustrates that model with examples ranging from Easter Island, to modern day Rwanda. I love the style and the content matter, but its not a dry, scientific read - Diamond's description of the final months of the Greenland Norse settlement where they were forced into eating the rats and mice and ultimately, each other - is particularly harrowing. 6. Gödel, Escher, Bach: An Eternal Golden Braid by Douglas Hofstadter - I discovered Hofstadter's writing through his regular "Metamagic Themas" mathematics column in Scientific American. Laid up in bed in 1983 with a particularly bad case of Glandular fever and nothing to do for two weeks, I grabbed the chance to read this book, which I'd heard so much about. Not a book that everyone is going to find easy going, Hofstadter weaves together themes from computer science, mathematics, genetics, music and the visual arts, in a very complex and incredibly intertwined, often self-referential or even recursive manner. Puns abound. This book really highlighted to me that maths can be a lot of fun, and that it reaches into and touches and describes so many other areas of human endeavour. It also introduced me to the fabulous works of M.C. Escher. Blimey! Did you have to do this in two goes because you hit a word limit? Mrs Stevens was good value - kudos to her for getting you to Dune! I seem to remember her giving it to me too. When I eventually ran out of things to read from the school library (scary, nu?) she starting giving me - with many admonitions to keep it to myself - new books as they came in, before they were accessioned, since they sat in a growing pile in her office until she had time to do all the cataloguing so they could go onto the shelves. OK, morning routine demands - good to see you here again! Theres a 4096 character limit for posts, which I ended up exceeding. Not usually so verbose, but got carried away with the subject matter. The earliest memories I have of book reading would be about 6 yo or so. A bear sliding down a moon beam in a story book, not in a reading primer. And I think I had to get a friend to explain what a moon beam was. I was given a number of books in a little bookshelf for Christmas, I must have been 10 or 11 by then, in Miss Ellis’ class (actually with Murph if my memory serves). It included two “Biggles” books. I can’t remember the others, they were all Dean & Sons publishing though, probably Robinson Crusoe or other “classics” like that. I am sure I read them all, eventually. The Biggles ones were short story anthologies set in the 50s/60s so they were almost contemporary reading at the time (think original Harry Potter and now). I actually wasn’t all that impressed with them, but did read them. I was sick (tonsillitis?) about this time and a neighbour saw I had read them and offered to loan me some books which had belonged to her, then grown up, son. These were the first “full length” novels I think I had experience with, at least the first I remember. From that time on I sought out books by that author, mostly in second hand shops, but Biggles was then, and still is, in selected paperback issues many of which I bought new. The first novel I also read cover to cover in one sitting was “Biggles in Borneo” which I bought secondhand from a shop in a small country town where my grandmother lived. I was there over a number of summers for the learn to swim. In those days the town where I lived didn’t have a proper swimming pool but this town did. Since that time I have managed to collect and read pretty nearly all the works of W E Johns. Some of it quite good, but some of it dross. When Johns really settled down to be an author in the post WWII era he became prolific but often very formulaic. There are still some nuggets to be gathered in these books too but his best were the ones he wrote from personal knowledge, the original WWI stories. Did these stories affect me. Well, I have been a passionate aviation enthusiast (although never a professional, never felt that way inclined) ever since the late 60’s. Was it “Biggles”?, I am sure it was at least in part. I still have those original two books as well as all the books the neighbour loaned me. She gave them to me many years later after her son had died and now form part of my collection of (at last count) 297 volumes. Now we wind on a bit. It seems to be a common denominator amongst many here. High school also introduced me to a “proper” library (and I was a librarian too! Earning points for my house. It didn’t just happen in Harry Potter). I remember they had a number of books by Johns and I was glad to read those, but they also had adult literature. I recall reading a number of Alistair McLean and Remarque’s “All Quiet on the Western Front” when I was about 12. However, I was introduced to SF by my art teacher. Specifically, by his recommendation of Asimov’s “Caves of Steel”. While, undoubtedly a nascent SF fan from contemporary telly (Dr Who, Space Patrol and Phoenix 5) this was all very, I hesitate to describe it as Murph does, trashy, rather they were stories, simple in their ideas and structure. I don’t think I had read any SF up till then. Asimov’s “Caves of Steel” was a revelation. The cities were a lot like the “Space Patrol” cities in my mind, but better (because they were in my mind, not the wobbly cardboard sets of 60’s TV). And it had a proper story, all be it a detective one. It also had a number of complex plot elements, at least for me as a pre teen. And so, another author and following the trail of his works lead me through his “Nightfall” and Robot books to a number of similar writers. Heinlen, Clarke and others I can’t remember. This was the classic or “hard SF”. That trail also lead to Asimov’s non fiction works, which in not too long a time would lead to Martin Gardner and ultimately Gould, Dawkins and a host of others. Being primed by all this early SF interest, my next step, although not as big as "Adventure" to "SF", was triggered by another high school teacher. In This case my Maths/Physics teacher. It was 1977 and I was 15 when I read “Dune”. Now I saw a SF story that really wasn’t about the SF. It was a story of political intrigue wrapped around ecology and clothed in SF. (remember, the influence of the 60’s was still strong at this time and my High School teachers probably were grown up hippies). I still remember, a few years later, bunking off from studies at the then SA Institute of Technology to play a board game of Dune rather than finish my electronics prac. Did these books lead me down a path to being a (mostly) technocrat with their visions of a different future. Actually unlike Biggles, I think this might have been the other way round. The latent engineer was always there, but not developed. In this case I suspect that was the path I would always take, and the literature was a serendipitous alignment. I find reading to be like tracing out the branches of a tree. One book leads to another and over time I find myself reading things I never thought I would. French literature for instance. Why would I delve into modern novels of a non anglophone country? Arguably one of the bests French author of the 20th century was a pilot who disappeared during WWII. Not so much a list as a - I'm nor sure what it is, but it was awesome reading over my tea in the the dark pre-dawn of what has shown itself to be a nasty, blowy, wet Sydney morning! What charmed me particularly, was the bit at the end of Part 2 (!) about being lead to read things you never thought you would. Personally, I think this is part of the addiction. I don't know if you've ever come across Helene Hanff's '84 Charing Cross Road' (lovely movie version with Anne Bancroft and Anthony Hopkins). The book is delightful - and points to the serendipitous nature of reading, and where it can take us... A delightful rainy afternoon (or morning) read! And I thought that I was the only one who remembered Space Patrol! A simple puppet- based show which featured space bases on all the planets, and made Thunderbirds look like a masterpiece. I loved Husky the Martian, with his penchant for Martian sausages. FWIW I remember Phoenix 5 as well. Wasn't it an Australian attempt at SF? I have no idea, but perhaps Stephen can enlighten you. I don't remember this show at all. Heretic - Thunderbirds WAS a masterpiece!! !